As a gal, which I am, in the cycling industry, which I also am, I see it all the time… women who won’t participate in group rides because they A) don’t believe they’re “skilled” enough, B) don’t want to be competitive, c) don’t want to hold anyone back, or D) don’t want to embarrass themselves in front of the fellas.It’s true – I’m telling you just as it is… and it’s a crying shame, because we women are depriving ourselves of some serious fun! Many of our rides are designed with novice, recreational, and fitness riders in mind, but I totally get that what might be intimidating in a mixed group can sometimes be EMPOWERING with fellow females. Hometown’s Social Media Guru, Team Hometownie, and “girl power” defined, Meghan Terbush is leading up the charge on our new and improved women-only rides and events program. Starting with a series of Tuesday evening social road rides, we’ll wrap up the summer cycling season with a Ladies Night Out event at Hometown, and then pack the winter with women-specific activities, including a women’s self defense course, spinning, fitness classes, craft classes, field trips, and other gal-geared awesomeness. Ladies, if this sounds like your kind of fun, come ride with us at our inaugural, weekly Women’s Road Ride on Tuesday, August 8th at 6:30pm from the shop (details below in our “Shop Rides” section). We’ll wrap up this recreational ride with BYOB and a bonfire at the shop! From one gal to another… let’s rock our gender! Turns out there are a whole lotta singles in the area who like to cycle… which means our Singles Ride is a definite GO, rain or shine! Details can be found HERE. You must be single and 18 or older in order to participate. If you’d like to be kept in the loop about future Hometown singles rides and activities, send me an email: office@myhometownbicycles.com. And please be sure to share our Facebook event with all of your friends – the more cyclists we get, the better your odds! More than $2,000 in prizes are up for grabs, and all you have to do is PLAY! Sky Zone Brighton, Hometown Bicycles, and Body Within Personal Training have teamed up to bring you the FREE 21 Days of Active Play Challenge. We are challenging Livingston County families to commit to 21 Days of Active Play this August. From going on walks together, to riding bikes, to jumping around on trampolines, families will pledge to spend a minimum of one hour per day being active. Be sure to read up on the amazing prizes, mid-challenge incentives, and final wrap up party. Register HERE! 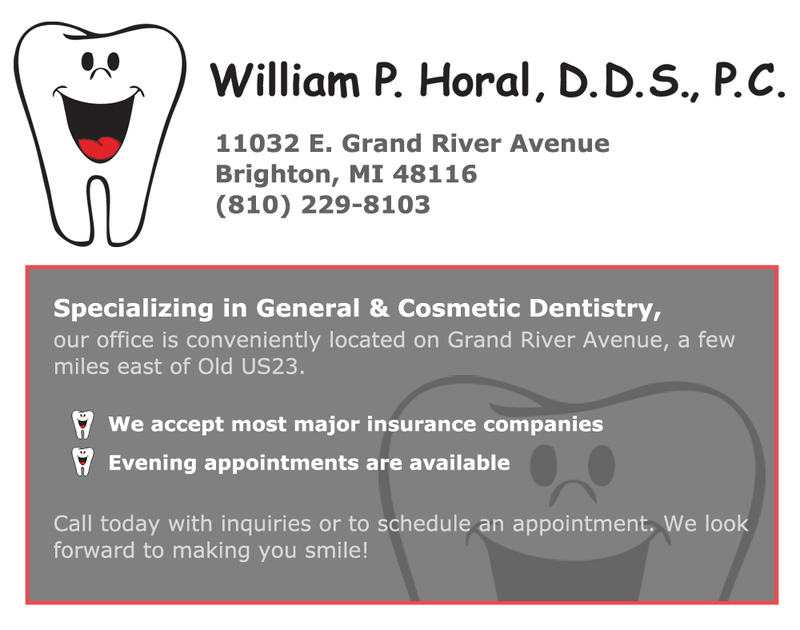 Did you know your Team Hometown dental sponsor could lay down mileage with the best of them?? We’re proud to be associated with a couple that puts their passion for cycling to work for Make-A-Wish children, year after year after year! Congratulations, Dr. Bill & Louise Horal, on another successful Wish-A-Mile voyage! Our Team and Crew marks off the route, leads off and mans the ride, provides on-site SAG support, and also offers bike valet service until 2pm, so you can enjoy the Festival without worrying about your two-wheeled babies! Now’s the time to lock in your registration – which gives you a chance to win the sweet Jamis cruiser bike that we’ve donated to the cause! REGISTER NOW! We’re up to nearly 36 miles with approx. 2,000′ of climb on beautiful and EXTREMELY hilly country roads (and limited pavement) – all with wonderful ride companions! This is an intermediate/advanced ride (check out Tuesday’s Gravel Grinding 101 for a less grueling option.) Expect a 13-15 MPH “NO DROP” pace. Cross/Gravel, Mountain, and Fat bikes are welcome. Meet in the lower parking lot (turn right once in the drive) 2655 Clark Rd, Hartland, MI 48353. Click here for this Facebook event. This is a Beginner Friendly mountain bike trail ride which encourages riders to visit new trails as their skill level increases! This week, we’ll explore 9 – 15 miles of the Island Lake Mountain Bike trails. All levels of riders are welcome – NO DROP RIDE. We do ask that riders under 15 remain with their guardian throughout the ride. Be mindful that the trail has several hills and some minimum level of fitness will be helpful to make for a positive experience for this planned 1.5 hour ride. Mountain and Fat Bikes are encouraged to join this ride. You can find this Facebook event here. For anyone who would like to build up to the original Hammerfest, this ride also rolls at 6:30 from Hometown. It’s 25 miles (1 lap of ILRA & the Kensington Loop) at a target pace of 17 – 18 mph, with flats exceeding 20 mph. Ride updates can be found here.